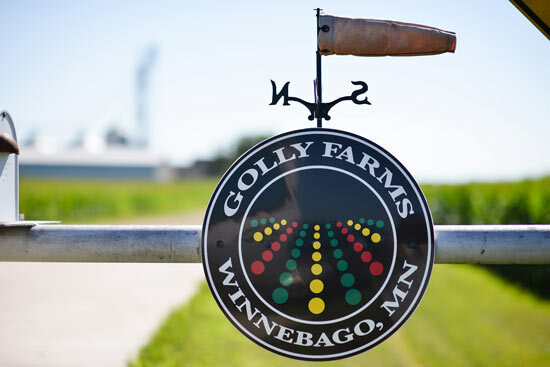 However, Golly knows that the economics of farming can make returning back to the family farm – not to mention trying to start farming without any sort of family connection – a financially challenging decision. Even in Faribault County, which was ranked third by the Minnesota Department of Ag for crop production in Minnesota (2013 Agricultural Profile), farmers are struggling. According to a 2017 report by the University of Minnesota Extension, over 30% of Minnesota farmers were in the red in 2016. The median farm income increased slightly from $27,478 in 2015 to $35,636 in 2016, which can still put pressure on farming families. Golly, like many farmers, has had to increase yield to stay profitable. To do this, he and others are increasingly turning to technology. “Agriculture has the stigma of being low-tech industry, but the fact is, it’s very high-tech,” said Golly. Almond farmers in drought-stricken California are using moisture sensors to use water as efficiently as possible. Closer to home, Living Green Farms in Faribault is using a highly-monitored aeroponics system to give plants exact nutrients needed to increase their shelf life. 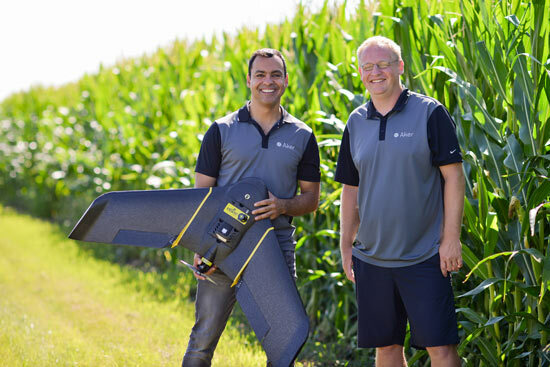 And in Winnebago (population 795), Todd Golly and his business partner Orlando Saez are using drones to provider growers, crop consultants and ag retailers detailed crop monitoring. 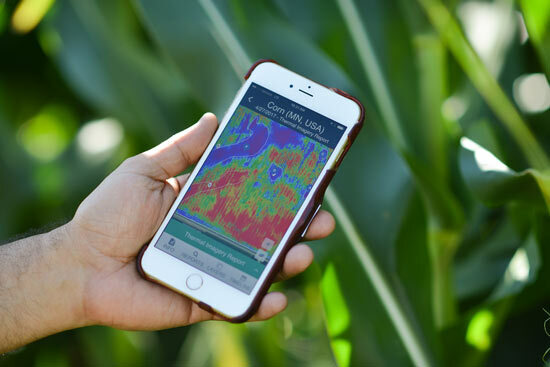 “We fly crop fields nationally and provide in-season insight unlike other tools available today,” said Saez. “We use off-the-shelf drones to capture high-resolution imagery. Each image is reviewed by our staff of agronomists to provide directed scouting zones and normally deliver results overnight.” Ag retailers, suppliers and growers use Aker service primarily to better match the field problems with the right products to improve yield. 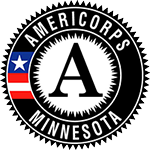 Faribault County is 58th in population out of 87 counties and it ranks 78th in median household income (2010 U.S. Census). For some, it might be easy to locate a company like Aker closer to Mankato (better commute for workers) or the Twin Cities (easier to attract workers, venture capital, recognition). Southern Minnesota Initiative Foundation (SMIF) became an investor in what was Leading Edge Technology, and is now Aker Technologies, in 2016. SMIF was one of about a dozen early investors, all from the Midwest. “We could have gone to the West Coast or East Coast and gotten money easier because they have more to throw around maybe,” said Golly. “The Midwest investor is a little more careful. They want to see a more solid business plan, and stronger product market fit which made us a better company. It has also given us better investors that are strategic; they’re not just investors, they’re trying to actually help us. This is essential in our stage of growth.” ”Our investors include independent ag retailers, growers, super angels, the Clean Energy Trust, Southern Minnesota Initiative Foundation, and others who understand that better data and tools will become crucial to meet population growth, rising standards of food quality and environmental sustainability of the planet,” said Saez. “SMIF took a risk and created this equity fund to incentivize companies like Aker to stay here, grow here, create jobs here,” said SMIF President and CEO Tim Penny. That risk is paying off. Aker has created five high-tech jobs in Winnebago. “Hopefully we can build that and these young people can stay and have a job in technology on the farm and in the office,” said Golly. Despite stagnated crop prices and other challenges to agriculture, both Saez and Golly are optimistic about the future. “I absolutely feel there’s still a lot of market potential for Aker,” said Saez. “I know that what we’re doing here can be the template that improves crop management practices for farming across the world. 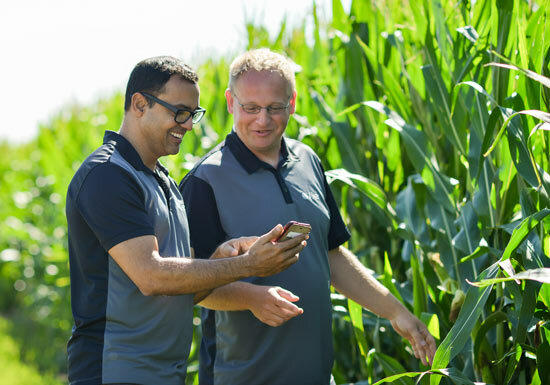 We have an enormous intellectual capital advantage for some for the row crops here.” Aker already has some international presence in Malaysia, Brazil, Guatemala and beyond. “My bucket list is to travel the world and have a sense of purpose doing so. I think we have a way to do a lot of good while creating value for our stakeholders,” said Saez. Learn more about SMIF's equity and loan funds.